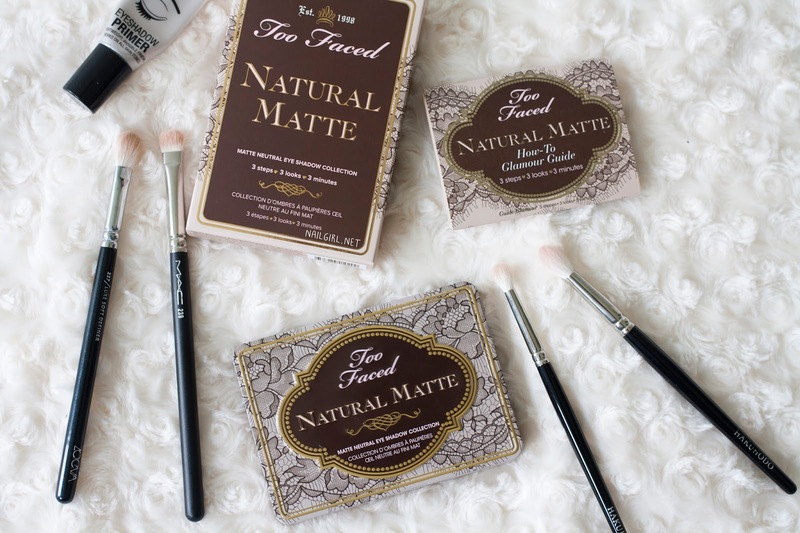 On my recent trip to the Gold Coast I was lucky enough to stop by a Myer and pick up this gorgeous little palette from Too Faced. It was so hard to choose between this and the Natural Eyes palette, but I don't regret grabbing this one bit. The shadows come in a metal casing with a magnetic closure. One of the things I love about this palette is that it comes with a handy little guide to just three of the infinite looks you can create with it. I'm honestly still quite inexperienced when it comes to eyeshadow, so I've definitely made good use of it. All of the shadows are super pigmented, buttery, and easy to blend - I'm so impressed with this palette, it's such a massive step up from the w7 palettes I was using before. 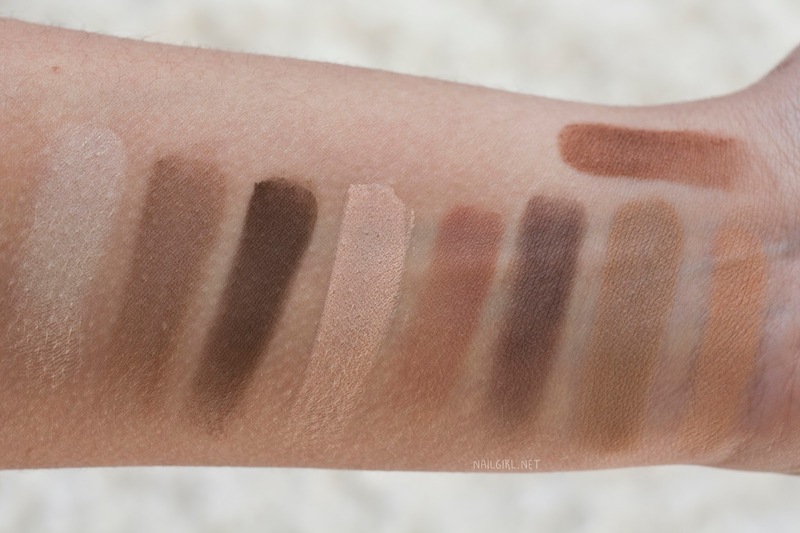 From left to right: Heaven, Cashmere Bunny, Sexpresso, Lace Teddy, Strapless, Risqué, Nudie, Honey Butter, and the top swatch is Chocolate Cookie. 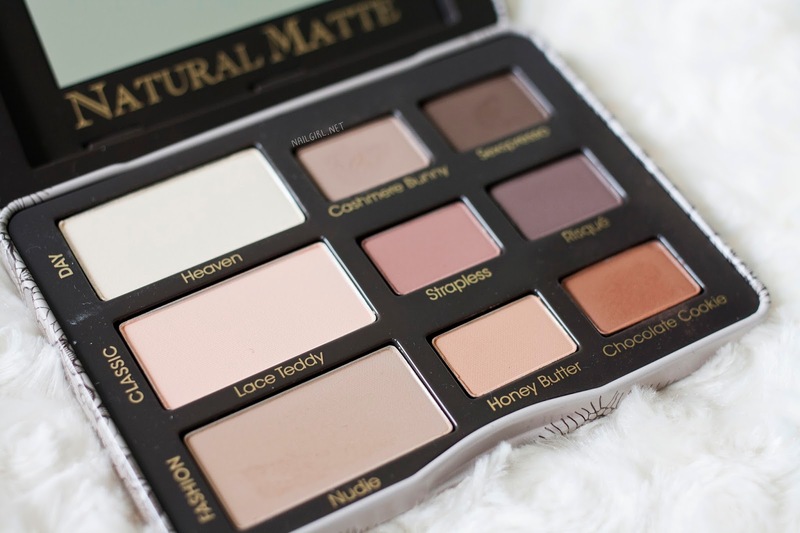 I would definitely recommend this palette to anyone looking for a staple, everyday matte palette in their collection! 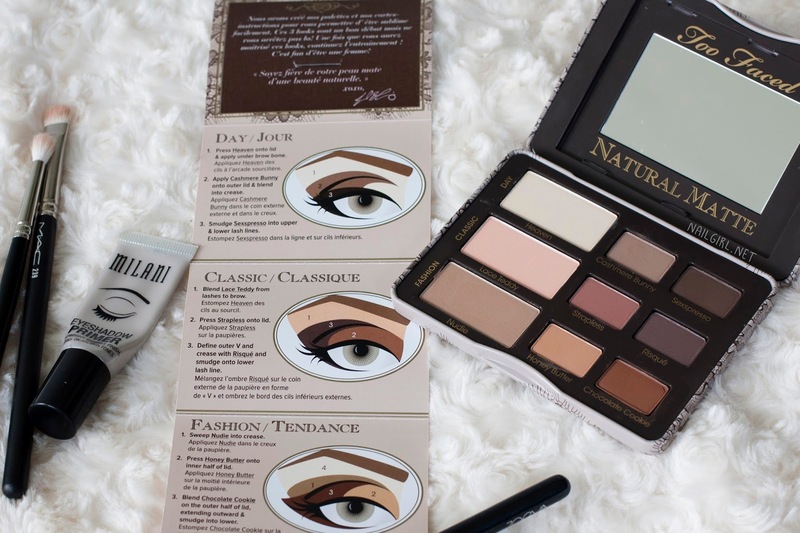 Have you tried Too Faced eyeshadows before? Too Faced is available from Mecca Maxima and Kit (inside Myer) for AU $53.